Daytona Beach is the perfect base camp for your Florida vacation. Set off on a convenient day trip to one of the state&apos;s most popular attractions and be back in time for dinner! How close is Daytona Beach to top-rated Florida attractions? You get the best of all worlds when you vacation in Daytona Beach. Experience all the family beach fun to be had along 23 miles of Atlantic coastline. 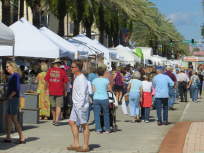 Indulge in Daytona Beach’s famed arts scene, festivals and attractions, local eateries, shopping and golf then venture out on day trips to explore Kennedy Space Center, Orlando and St. Augustine. 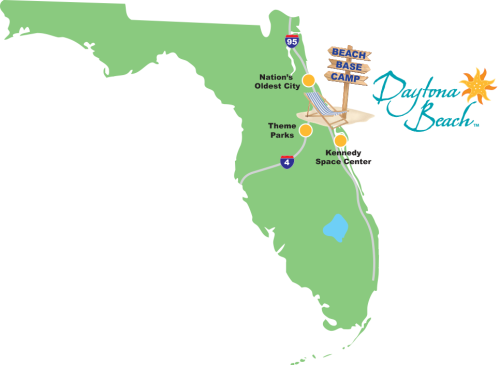 Daytona Beach is the perfect base camp to explore Central Florida and beyond!